﻿ Stamping Products - China Wuxi Minghao|China Wuxi Minghao Automotive Parts Co.,Ltd. 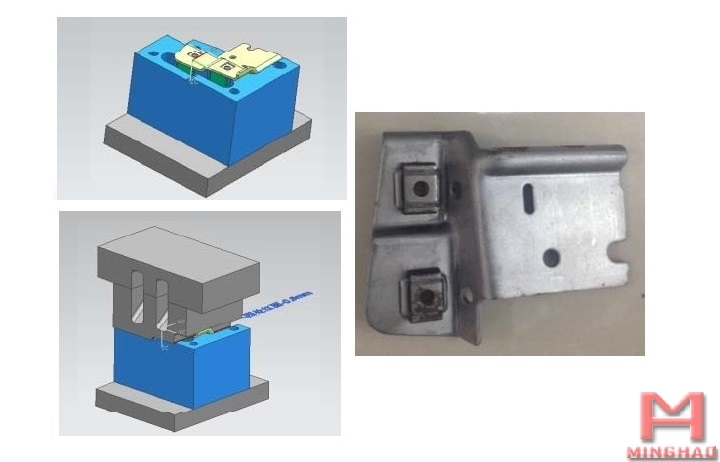 Our stamping team experienced in our company’s existing technical advantages (tooling, fixture), on the basis of the use of advanced automatic line production mode, high production efficiency, product quality is stable. If you like, you can browse the following stamping part of our products. At present the main supporting models BMW, Land Rover, Ford, General Motors, Volkswagen and other, the current main products are front axle and rear axle, bumper, hand brake, engine mounts, jacks, stamping parts, etc. We passed the ISO9001:2008 and TS16949 quality system certification, in pursuit of refinement, zero defect products as the goal, to ensure the stability of the product. Through unceasingly in the stamping industry of exploration and the accumulation of experience, we set up a unique system of stamping technology, and firmly in the continuous improvement of internal perform endless, we are very willing to and customers and partners to share the fruits of continuous improvement to make us in numerous stamping industry is different.